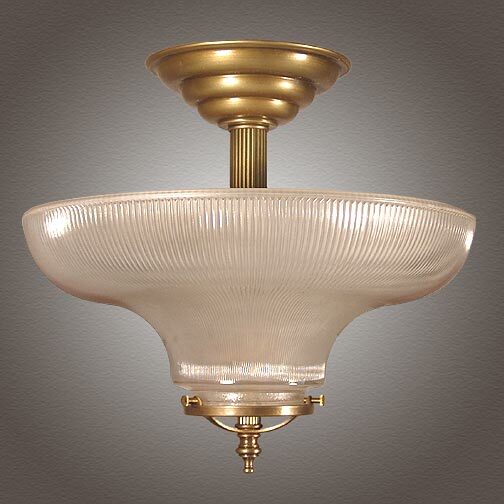 Shown in antique brass, a close to ceiling Railroad Light for your hallways or bath room ceilings. Reminiscent of an old train station and featuring frosted Holophane railroad glass. Also available as a stunning Railroad Pendant for your kitchen island or bar. Width 15 In. / Height 14 In.